Caphe East is now closed. Caphe East will be ceasing its operation on Sunday 28th April. From now until they close, they are offering diners 20% off their food bill and drinks at reduced prices! It's hard to find good Vietnamese food, so when deciding on what to have for dinner (again), we decided to try the recently opened restaurant in Siglap. 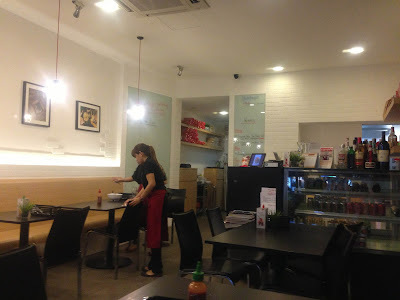 The restaurant is small, but has a casual, friendly feel about it, it seats approximately 22 on the inside and approximately 14 on the outside. 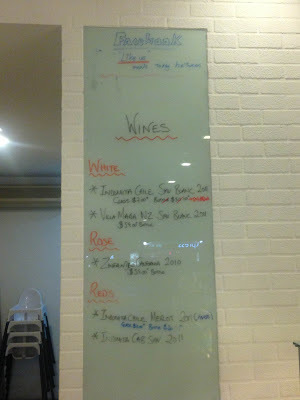 There is a lot to choose from their extensive menu. 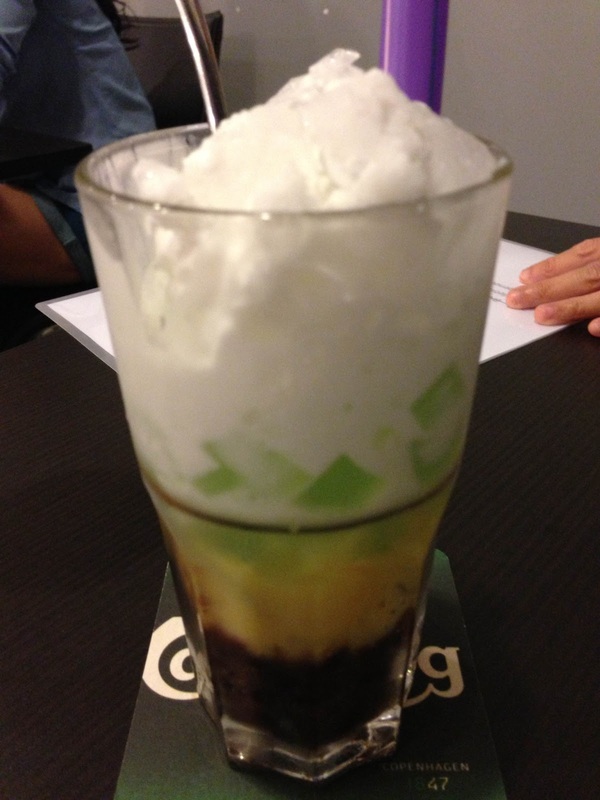 The starters and the mains are on the front, and on the reverse the dessert, Vietnamese coffee and cold drinks. 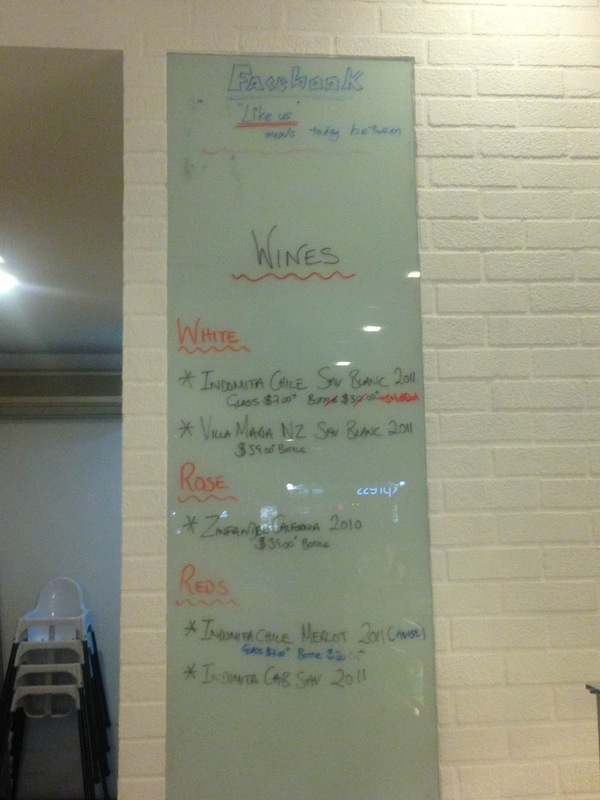 There is wine on offer, though I am sure they change frequently. 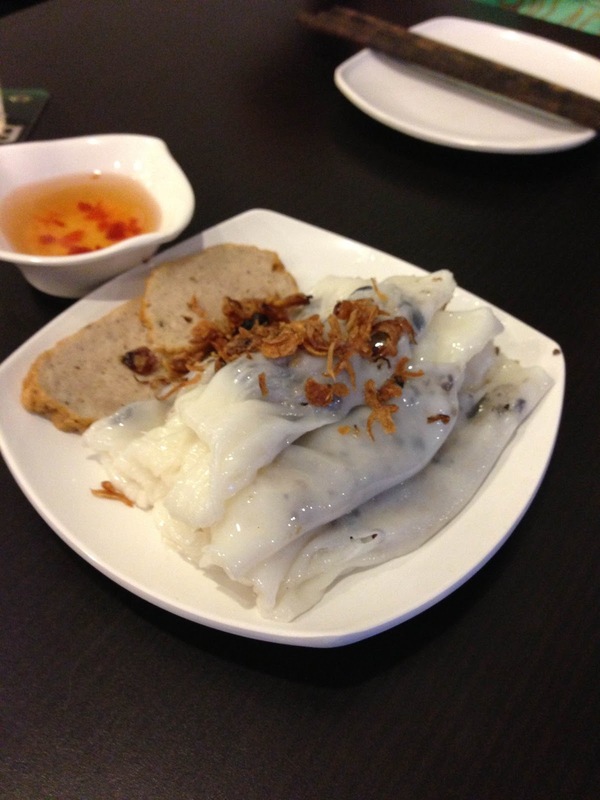 We ordered the Banh Cuon (steamed rice rolls), the Vietnamese version of 'Chee Cheong Fun.' This is very tasty, smooth in consistency and is filled with savory Chinese mushrooms and minced pork, garnished with Vietnamese ham and shallots. This is served with their homemade fish sauce. The Goi Cuon (summer rolls) is another favourite Vietnamese dish to try. These are freshly made. 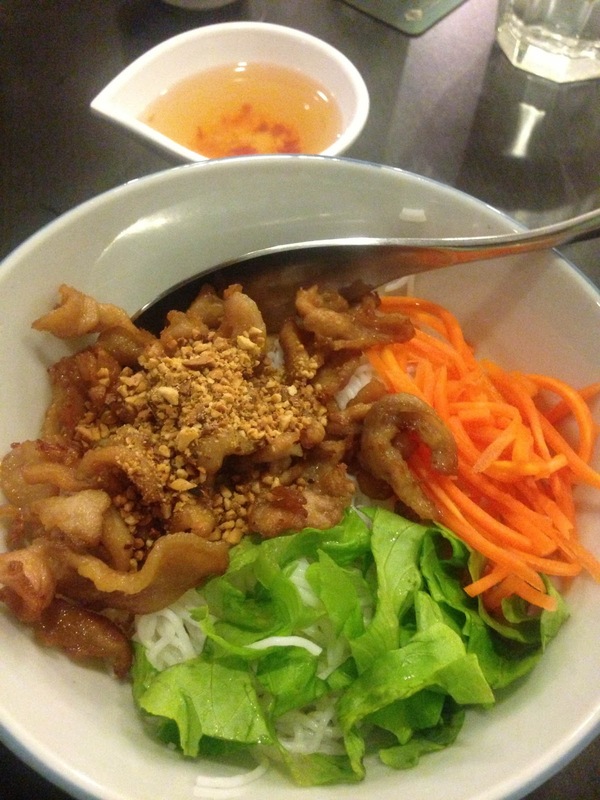 The ones we ordered were filled with prawns, sliced pork, lettuce, cucumber, mint, coriander, vermicelli. This is served with peanut sauce. (They also do a non-pork version). The best way to eat this is with peanut sauce. 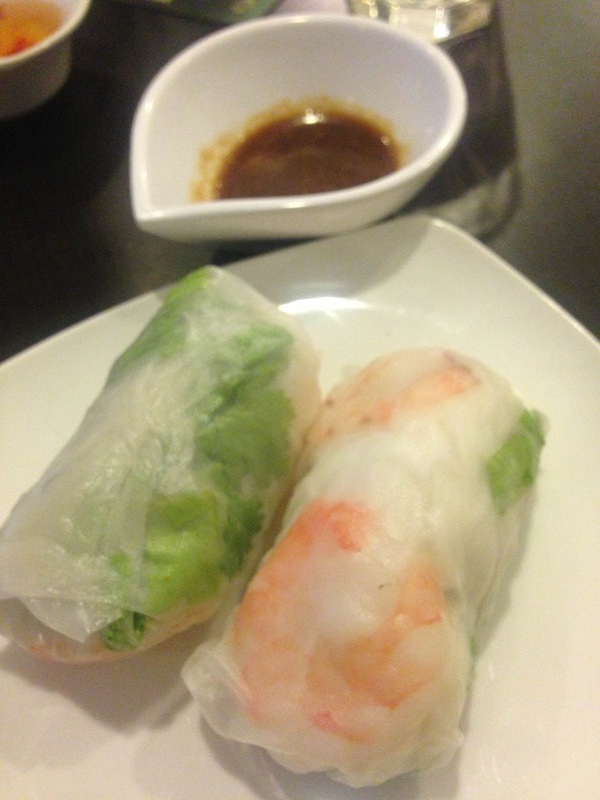 Other restaurants serve the summer rolls with fish sauce, this is a no-no! 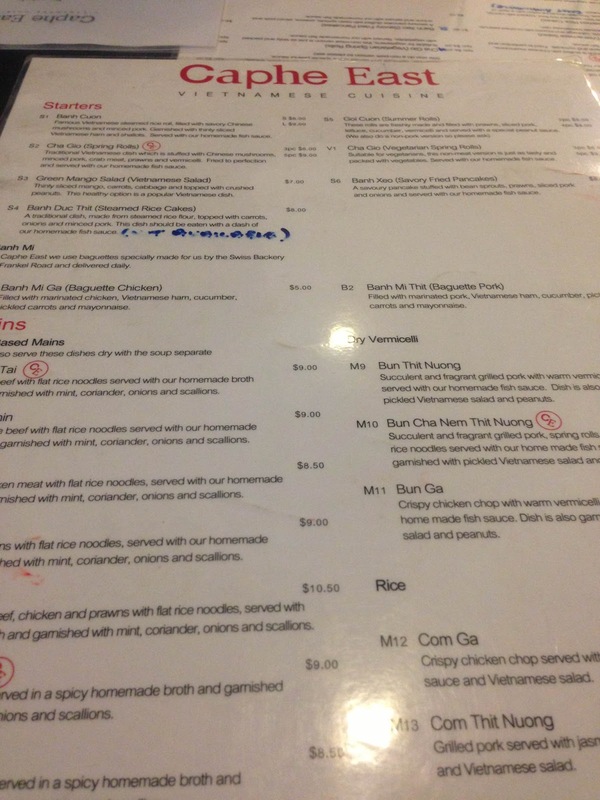 First a basic language lesson - Bun (pronounced "boon") is dry Vermicelli. Ga is chicken. Thit Nuong is grilled pork. 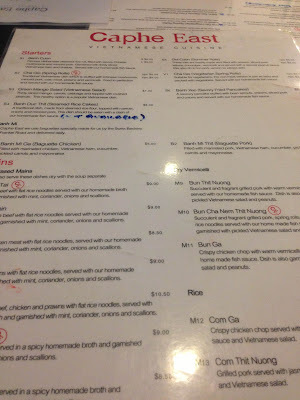 Hubby ordered the Bun Ga, garnished with pickled Vietnamese salad, peanuts and fried shallots. This is also served with their homemade fish sauce. 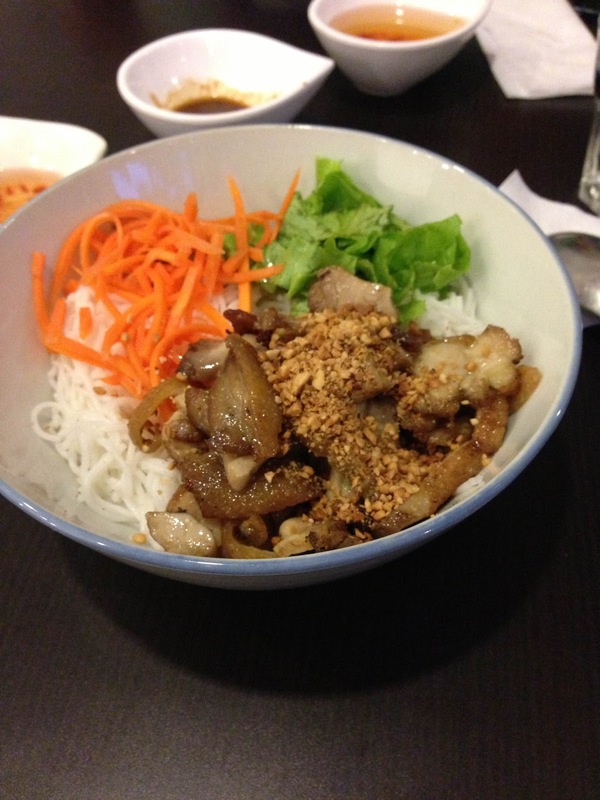 And I ordered the Bun Thit Nuon, garnished with pickled Vietnamese salad, peanuts and fried shallots. This is also served with their homemade fish sauce. We then finished with dessert. Hubby ordered the Che Ba Mau, which is a traditional dessert consisting of red kidney beans, green jelly and coconut milk with crushed ice. 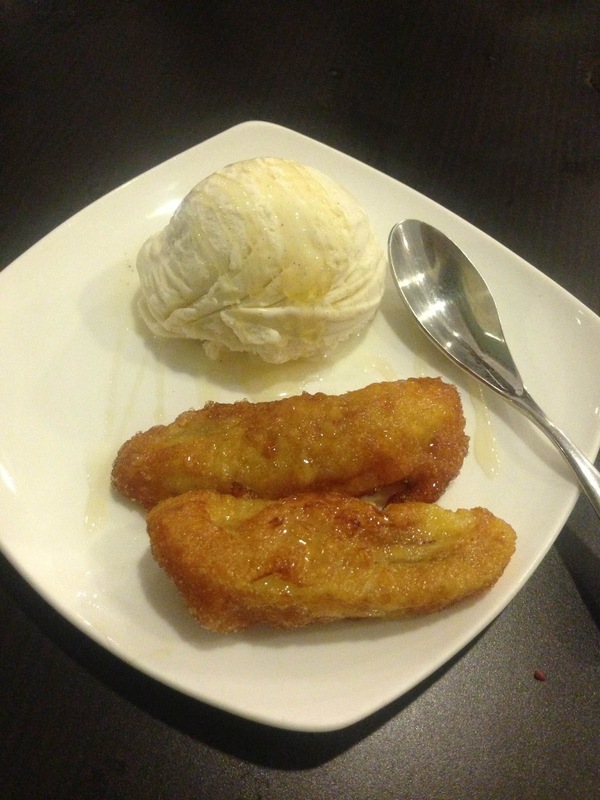 Whilst I ordered the Banana Fritter. AND . 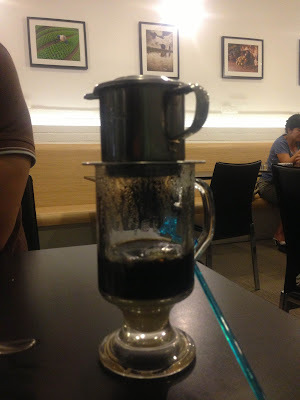 . . no visit to a Vietnamese restaurant can be complete without a traditional Vietnamese drip coffee!!! They also offer starters and mains for vegetarians. 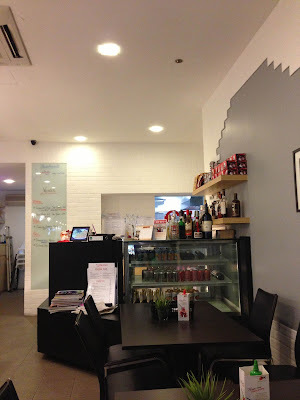 We'll be back here again to try out other items on their menu!